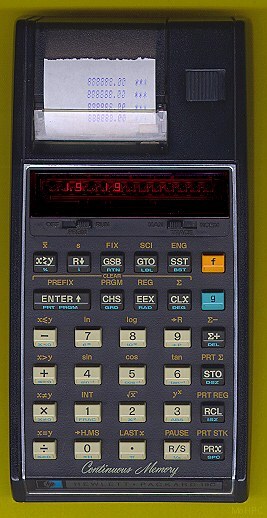 The HP-19C was functionally equivalent to the HP-29C with the addition of a built-in printer and a keyboard buffer. 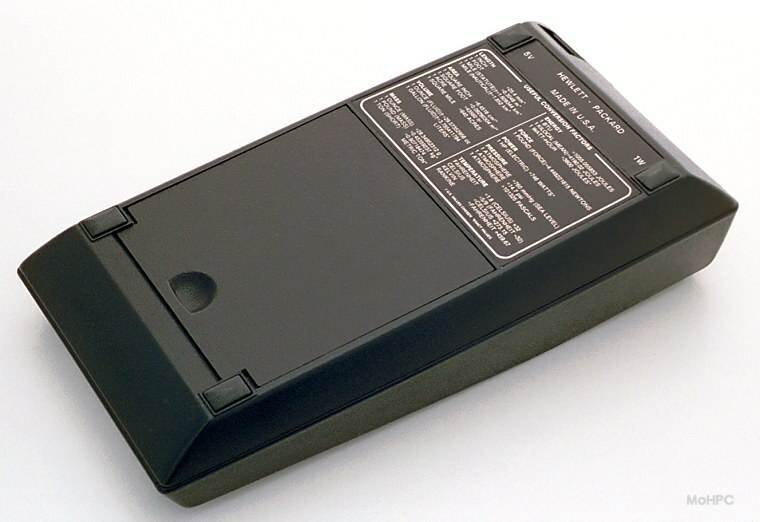 Unlike, the HP-67, the HP-29C did not provide "printing" commands in order to be completely program compatible with the HP-19C. 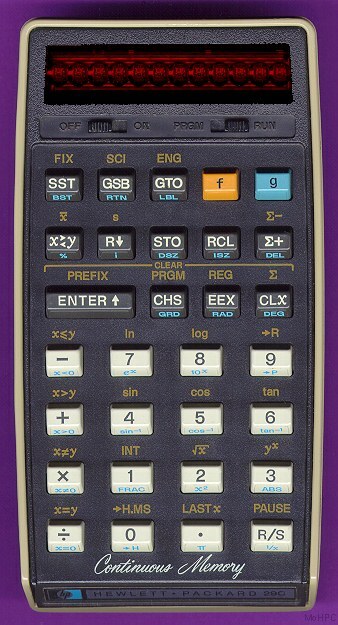 This degree of interoperability wasn't required since programs couldn't be transported from an HP-19C to an HP-29C on magnetic cards. Users could simply add or delete printing commands as the program was entered. In fact HP's applications books were written for the HP-29C and had "***" in places where an HP-19C owner might want to insert a print instruction. 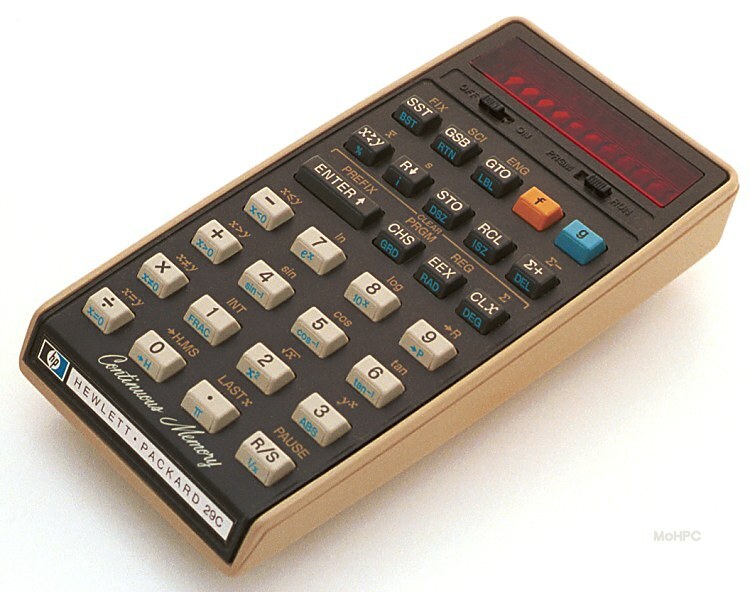 The recently developed continuous memory allowed information to be kept intact even when the calculators were off. The entire program space, and the X register were continuous. (But the rest of the stack was volatile.) Memory registers were split. The 16 directly addressable registers were continuous whereas the other 14 indirectly addressable registers were volatile. 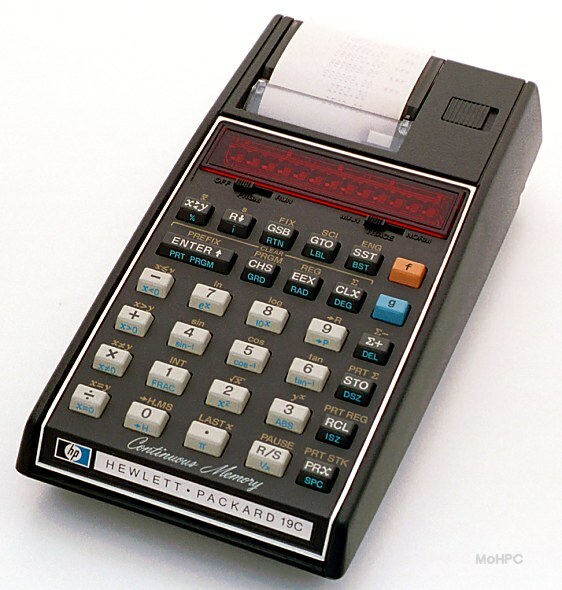 Except for lacking a card reader and soft keys, these machines were more powerful than the HP-65 which was introduced just 3 years earlier at 4 times the cost of the HP-29C.